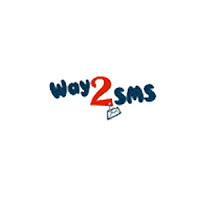 A website way2sms based in hyderabad, india offers to send unlimited free sms messages to any mobile network all across india.Way2sms.com was founded by Raju Vanapala in 2006. In September 2011, the website had reached a milestone of 20 million users. 1 . Way2SMS delivers most of the messages in less than 10 seconds. 2 . Get Free Email alerts directly to your mobile phone. 3 . Schedule your message to be delivered on next day or any other date and time. 4 . You can also access it from its wap version http://wap.way2sms.com directly from your mobile. 5 . It allows 140 characters message out of standard 160characters . 6 . The Service is absolutely free. 7 . 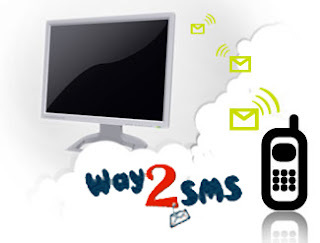 You can also block all messages from way2sms.com by sending an email to support@way2sms.com mentioning your mobile no. in the body of your email. 8 . Create your best friend's circle and send a message to all of them in one click. 9 . It also allows its registered users to chat and recieve social media alerts. Around 25000 new members join way2sms.com every day. It has a database of around 365 million contacts. In 2010 around 75 lakh messages are send from it per day. Just visit way2sms and click on register, enter your mobile number and your desired password.You will then recieve a sms with a pincode. Enter the pincode on their website when asked and your done.Start sending free sms all over the country. I wanted to know how to make cheap Unlimited Call to India . Please suggest me something. pls inform me how can I send unlimited group msg by way2sms ?